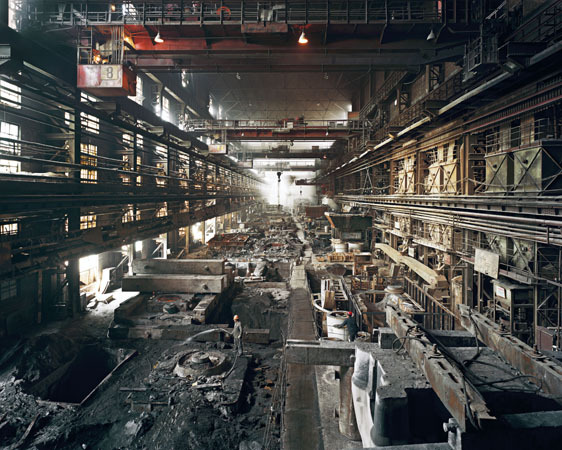 The Fahey/Klein Gallery is pleased to present a selection of work from renowned Canadian photographer Edward Burtynsky. This exhibition, curated (culled) from a private collection, features large format photographs documenting the extraordinary global landscapes created as a result of human industry— mining, quarrying, rail cutting, ship breaking, mass recycling, and oil refining. Produced with exacting detail in large scale, Burtynsky’s photographs exist in a delicate balance between a sobering reality and sublime beauty. Specifically, this exhibition features a vignette of Burtynsky’s ambitious effort to document the staggering destruction of the Three Gorges Dam project—the world’s largest hydro-electric engineering feat to control the notoriously tempestuous and equally mythic Yanghtzee River in order to generate power for China’s booming population. 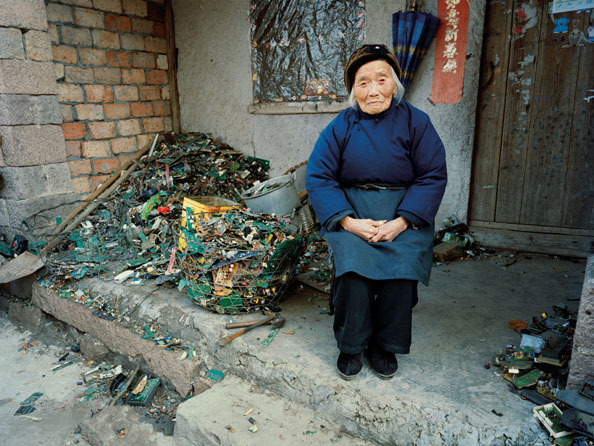 This series, similar in spatial grandeur but palpably different from Burtynsky’s other work, is visually dense, apocalyptic, and ironically beautiful with each monochromatic vista of vast rubble resembling a traditional Chinese watercolor. Although Burtynsky captures the consequences of our ever expanding footprint, he manages to evade the stereotype of an “environmentalist”, a movement which Burtynsky believes has largely failed. “It’s about messaging. It’s not about indicting.” Burtynsky has said in a recent interview. 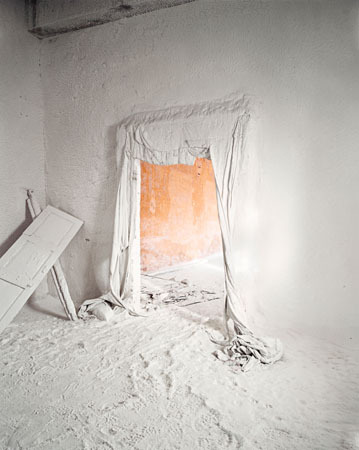 His photographs, which rarely contain people, successfully avoid making blanket judgments. “We are implied. There is an empathetic moment in my work. I see it as a thirty year lament at the loss of nature at our hands, at the expense of our expansion. Underneath every picture is that fact that nature is being pushed back and our footprint is just getting bigger. And I am that edge… trying to show that we are taking over more and more.” (Spread Art Culture Interview, September 2010). 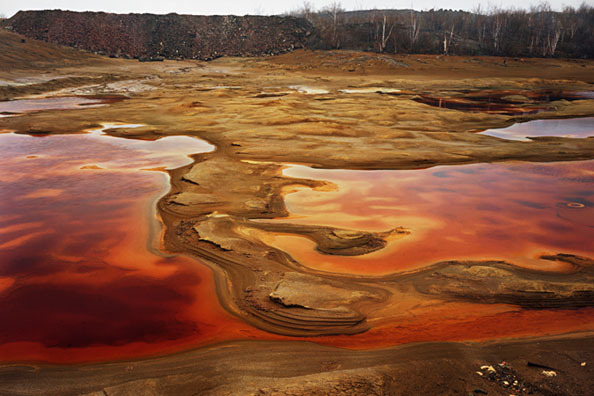 Edward Burtynsky’s work has been exhibited and collected internationally. Burtynsky’s most recent monographs include China, Oil, Quarries, and the museum exhibition catalogue Manufactured Landcapes produced in conjunction with the first major retrospective of Burtynsky’s work organized by the National Gallery of Canada. Among Burtynsky’s many awards and distinctions include the TED prize and The Outreach Award at Recontres d’Arles. Burtynsky is an active lecturer on photography, and founder and president of Toronto Image Works, a landmark photographic lab and technical education facility in Toronto, Ontario where Burtynsky lives and works.